Kindle the romantic flame on your visit to Paris with The Paris Guy. Experience the sights, sounds and flavors of the City of Love with one of our Paris tours. Embark on a flavorful food tour of Le Marais complete with oysters, champagne and French desserts. Cruise the Seine River at sunset with a complimentary glass of champagne, then experience the Eiffel Tower illuminated on our evening tour of the Eiffel Tower. Tour the majestic gardens of the Palace of Versailles on our Versailles Palace and Garden tour. Make your experience in the City of Lights a magical one with The Paris Guy. What Makes Paris So Romantic? The culture and scenery of Paris complement each other like champagne and oysters in creating the romantic mystique of the City of Lights. Paris’ cultural history paints a picture of romance in its musical, literary and cinematic spheres. The musical history of Paris adds to its romantic mystique through the sounds of French salon music, opera and jazz. The city was home to famous musicians, artists and authors such as Miles Davis, Salvador Dali, Charles Baudelaire and Marcel Proust. Paris’ skyline boasts a cornucopia of Romanesque, Gothic, Art Deco, Art Nouveau and Renaissance architectural styles. This blend of Paris’ cultural history creates a visual experience when walking along the streets of Paris and its bridges crossing the Seine River. Paris is a stylish city that exudes the style and charm of its artistic heritage. When walking the streets of Paris, the sights and sounds savor a romantic aura. Whether it’s the sound of the French language with its smooth words being spoken or images of outdoor book vendors along the Seine River, the Parisian experience feels like something that exists only in books or movies. With so much to see and do in the City of Lights, here are some romantic things to do in Paris. The most famous street in Paris, couples will enjoy a romantic stroll along the Champs-Élysées’ tree-lined streets filled with pastry shops, cafes and restaurants. One walk along this iconic street and it’s easy to understand why the Champs-Élysées has been replicated in cities across the world. Be sure to visit the Arc de Triomphe and admire one of Paris’ most famous monuments. The hilltop neighborhood of Montmartre is the perfect setting for couples to get lost in. Once the home of artists such as Pablo Picasso and Vincent Van Gogh, Montmartre is home to iconic Paris institutions such as the Moulin Rouge. The neighborhood still maintains much of its old world charm. Enjoy a romantic stroll along Montmartre’s cobblestone streets lined with vine-covered houses. Soak in breathtaking views of Paris from Montmartre’s hilltop location. Paris is known for its many bridges that cross the Seine River. The Pont des Arts Bridge offers the perfect view of the Seine River and The Louvre. Also known as the Love Lock Bridge, visitors to the Pont des Arts contribute to the millions of padlocks that adorn the sides of the bridge. Experience your own love lockdown with a stroll across the bridge, followed by a visit to the Louvre art museum. Admire the museum’s many works of art and be sure to bypass the long lines by doing so on our Louvre tour. After all, nothing is less romantic than waiting in line. The natural island of Île Saint Louis is one of only two natural islands on the Seine River in Paris. Explore the beautiful homes, narrow streets and cafes in this elegant neighborhood. Be sure to take a stroll along the Seine River with a blanket and picnic basket for an impromptu picnic. Paris is known for its rich culinary history. The city is home to many Michelin-starred restaurants, local brasseries and small cafes. Enjoy a romantic meal in Paris with your loved one. If you don’t know where to begin, our food tour of Le Marais is a perfect introduction to France’s culinary heritage. There’s no better way to experience the nighttime splendor of the City of Lights than a sunset cruise on the Seine River. Soak in the night sky lined with the lights of Paris’ iconic buildings. Experience a sunset Seine River cruise and an illuminated Eiffel Tower on our Eiffel Tower at night tour. Don’t forget your complimentary glass of champagne as you cruise the Seine River en route to taking in the evening view of the Paris skyline from the Eiffel Tower. The splendor of the Palace of Versailles is the perfect location for a romantic getaway. Leave the city for a bit and wander the palace’s immaculate gardens. Experience the external architectural splendor and many works of art housed inside the palace, then take a stroll through the elaborate gardens and down to the palace’s main canal. Experience the palace for yourself with our Versailles palace and garden tour. Paris offers couples a timeless romantic experience. The city’s beauty and romantic splendor permeate the air, creating an intoxicating atmosphere. Experience the City of Lights with one of our many Paris tours. 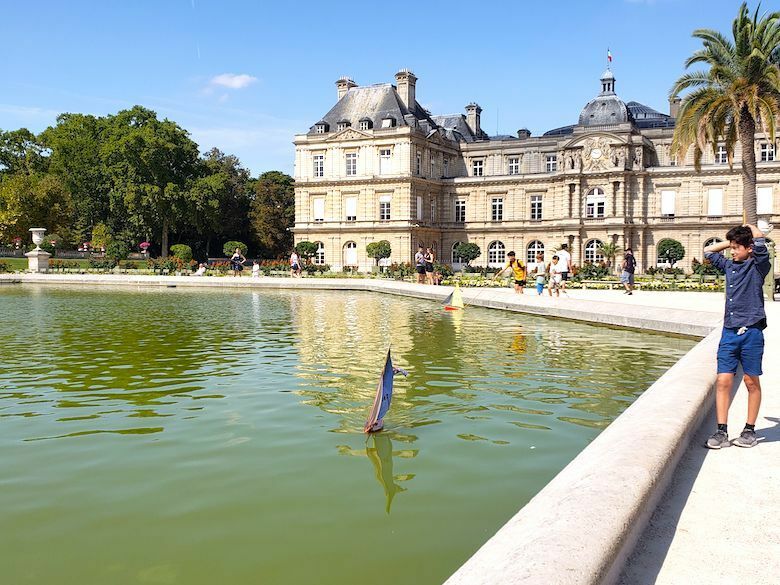 Learn about the culture and history of Paris, then wander through the city’s beautiful streets. Experience Paris as the City of Lights and the City of Love. Fall in love with Paris with The Paris Guy.